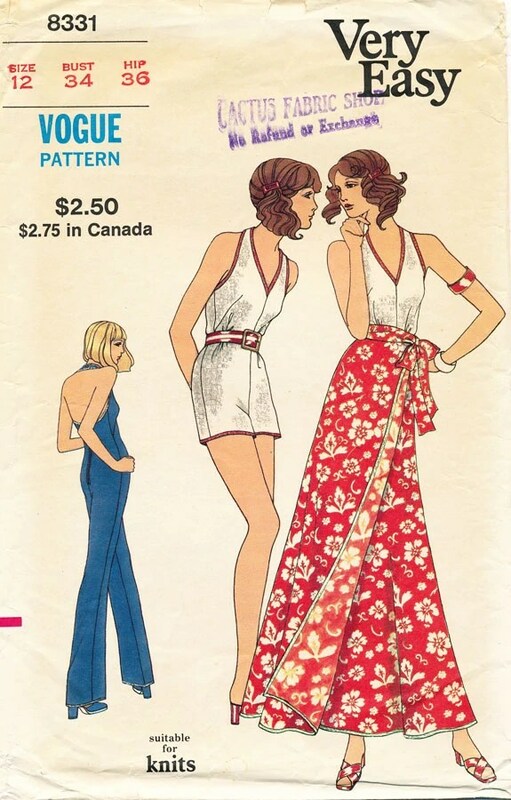 Vogue 8331 (1972) Image: Vintage Pattern Wiki. Versatile and contemporary, jumpsuits and their cousins, playsuits and rompers, have become increasingly popular in the last few years. Jumpsuits—or all-in-ones, if you’re British—seem poised to move beyond a trend this summer. 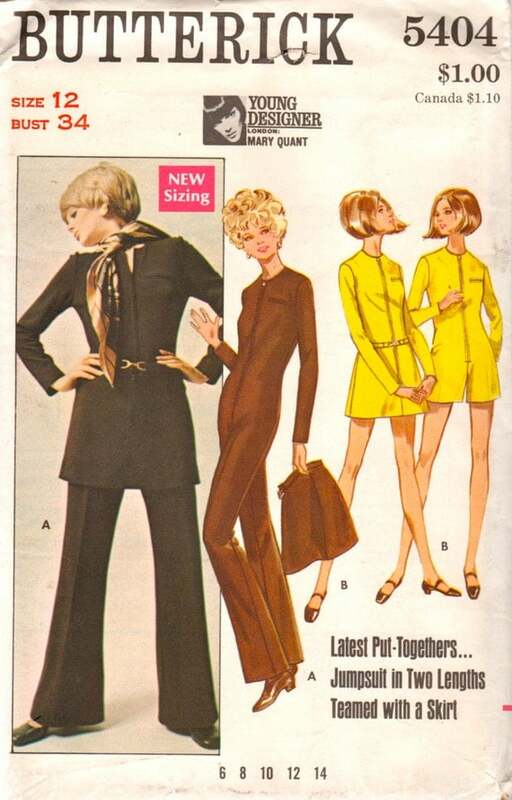 The modern women’s jumpsuit has origins in two different garments: beach pajamas and the boiler suit. These twin origins mean jumpsuit styles range from fluid loungewear to utility-inspired or tailored designs. (See Vogue Italia for a short history of the jumpsuit.) Here are some favourite all-in-one patterns from the 1930s to the 1990s. McCall 6432 (1931) Image: Model A Ford Club of America. Vogue 8852 (1940) Image: Vintage Patterns Wiki. 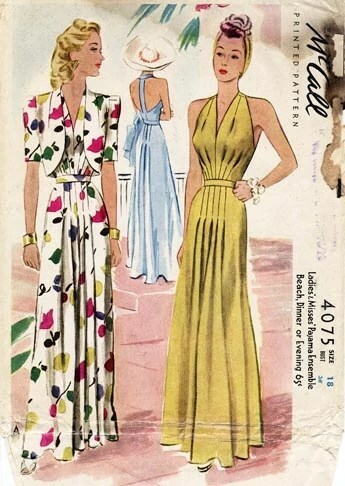 McCall 4075 (1941) Image: Vintage Patterns Wiki. 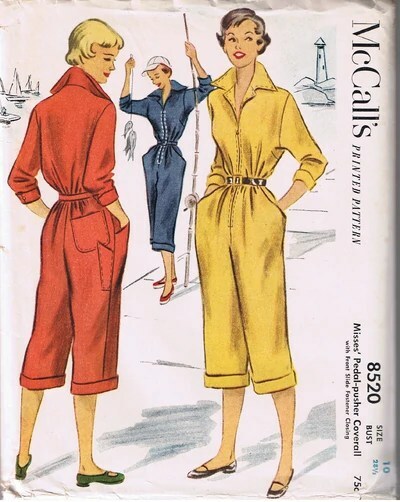 McCall’s 8520 (1951) Image: Vintage Patterns Wiki. Vogue 9898 (1959) Image: Vintage Patterns Wiki. 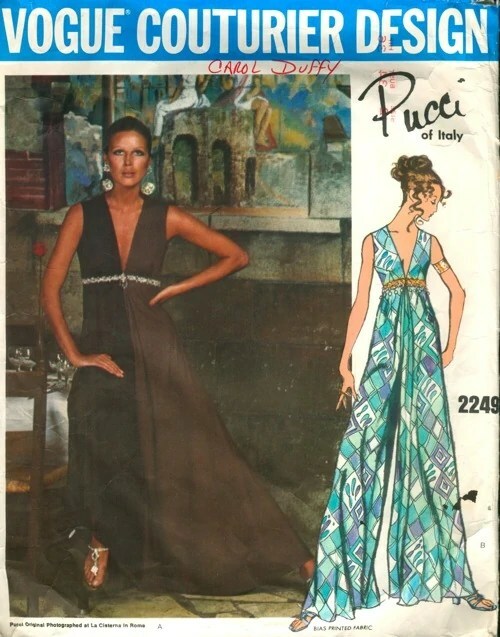 Vogue 2249 by Pucci (1969) Image: Vintage Patterns Wiki. Vogue 2731 by Galitzine (1972) Image: The Blue Gardenia. Vogue 1453 by Calvin Klein (1976) Image: Vintage Patterns Wiki. 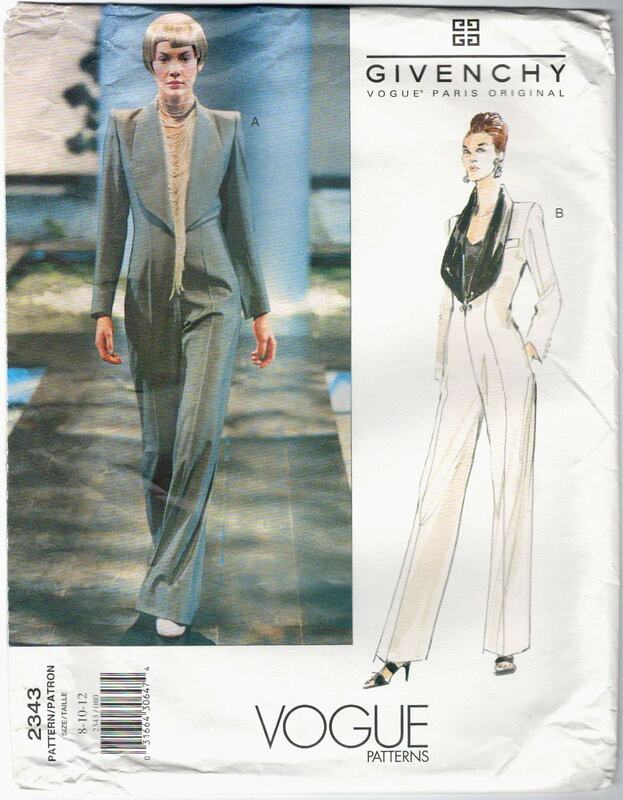 Vogue 2284 by Donna Karan (1989) Image via eBay. Vogue 2609 by Donna Karan (1990) Image: The Blue Gardenia. Vogue 1821 by DKNY (1996) Image: eBay. Vogue 2343 by Alexander McQueen for Givenchy (1999) Image: PatternVault shop. With their demanding fit, jumpsuits are ideal for home sewers. And they’re not just for the tall and leggy: many of the later jumpsuit patterns are marked as suitable for petites. 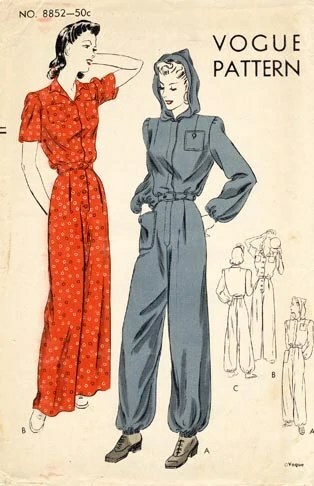 If you’d like to try your hand at an early all-in-one, Wearing History has a repro pattern for 1930s beach pajamas, and Simplicity 9978 includes a 1940s boiler suit. I like the second one, love the 30’s look and the Vogue 9898, amazing designs all of them. oops, I like that Mccalls 4075. Have you used these? Do show us! What an interesting post and glorious garments. I think we Brits call them jump suits too. Churchill wore one in 2WW and that was called a boiler suit. And the ones with shorts – a play suit! The Givenchy one is amazing. 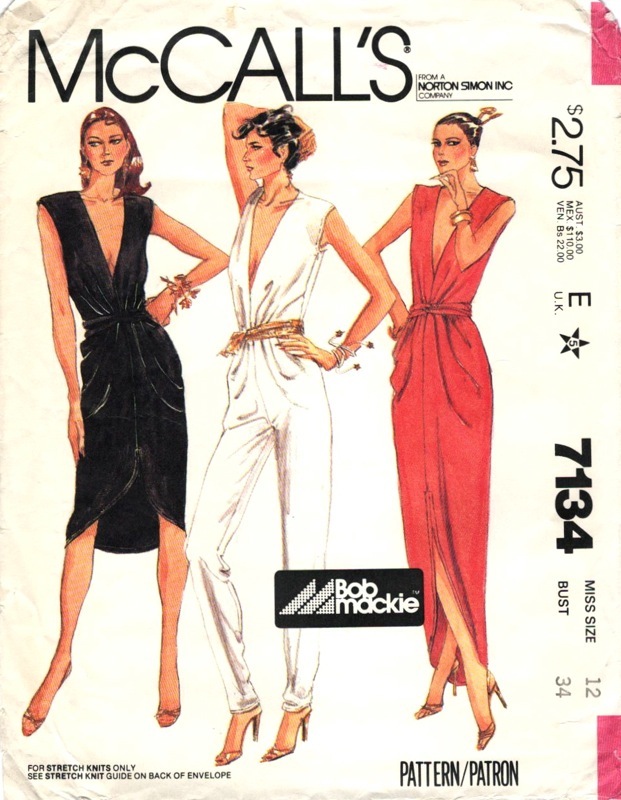 I like the idea of jumpsuits but never get round to making one. I loved reading this post, even though I avoided jumpsuits due to always having a little “fluff” in the middle area. I still think that jumpsuits are best for the flattest of stomachs. It doesn’t stop me from admiring the garment and it’s utilitarian and leisure uses. Thank you for sharing. Such a great collection of patterns!